When we consider all of the different types of information to include on our websites, we may attempt to create numerous amounts of items, pages and modules in what we consider to be a simplistic, self-explanatory summary of the product, service or cause that the website is designed to represent. 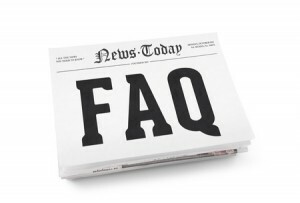 One thing that is observed on many blogs and websites is the lack of an FAQ page. When covering a particular subject or process, it is immensely valuable to have a section that is both easily found and addresses some of the main concerns and questions people will have when they visit your website. Whether you are selling a product or advocating for a cause, an FAQ page can help eliminate some of the repetitiveness that comes with being a blogger or content creator. Rather than having to answer the same questions from people continuously pinging your blog or inbox for answers, you can take the most common inquiries and summarize said information on the FAQ page. Besides saving customers’ time, you will also be reducing the amount of time you have to spend on answering the same few questions every day. This will give you more time to otherwise be productive. Some companies have adopted an approach that keeps certain information vague in order to either encourage the potential client to contact them or to be able to work out individualized quotes for each client. For an online presence, however, it is not the best solution. Use this as another opportunity to promote your contact information, though, so that individuals whose questions have been answered will see it before leaving the page. By providing the maximum amount of information in your FAQ page, you will make each reader or potential client feel more comfortable, leading to more interactions, dialogues and conversions. Most people who consider creating FAQ pages ask, “what topics should I include on the page?”. Depending on the subject of the site and the type of audience pinging your blog, there can be an array of vital answers to provide. For direct sales, it makes sense to include your contact details, quotes, methods of payment accepted and shipping information. When advocating for a cause, you would want to summarize the stance and mission of the website, how to get involved and where else additional information can be found. The best way to determine this is by asking several people to view your website and pose any questions they may have to you directly; this is a great way to brainstorm and determine what information is optimal for inclusion. The primary existence of a website or blog is to provide content, offer services and items, and convey opinions. The common denominator is that they exist to inform. It makes sense to create an FAQ page not only for the benefit of your readers, but it can also save you time and increase the likelihood that your visitors will engage with your blog or site in the way you wish them to do so. « Paying for Links – Is It Ever a Good Idea?